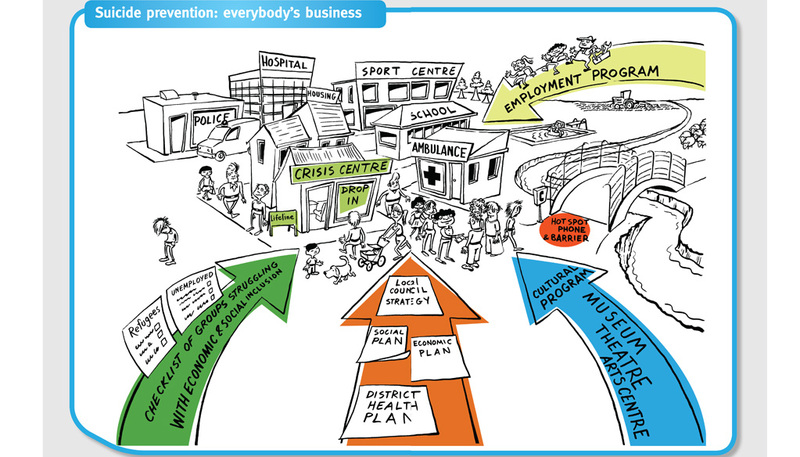 Suicide Prevention Australia partnered with the Mental Health Commission Australia to produce a community toolkit on dealing with and informing suicide. Hopping Mad was briefed to design the toolkit document, incorporating custom illustrations. HMD designed, typeset and produced the extensive toolkit document, inline with the SPA brand. 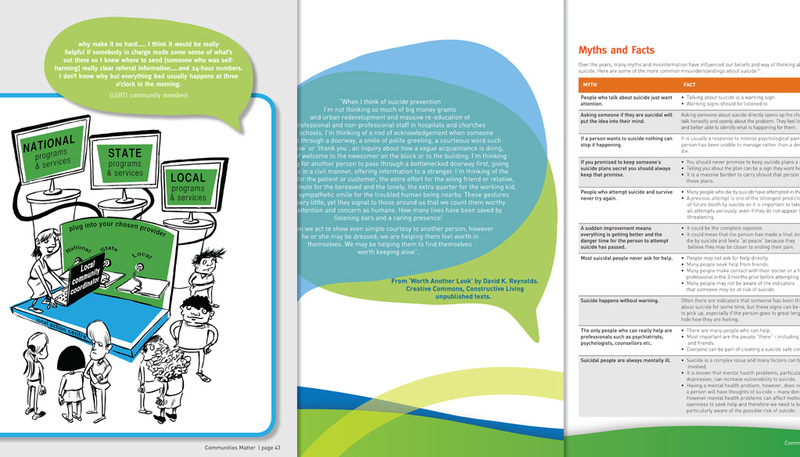 Illustrations were integrated in to the document and key points highlighted in an easy to read style.